Kayamag aims to contribute to the collective intellectual life of the Capitol University College of Arts and Sciences. By bringing together the faculty from the various departments, members of the local community and outside scholars and writers, diverse academic topics are explored in an interdisciplinary way. 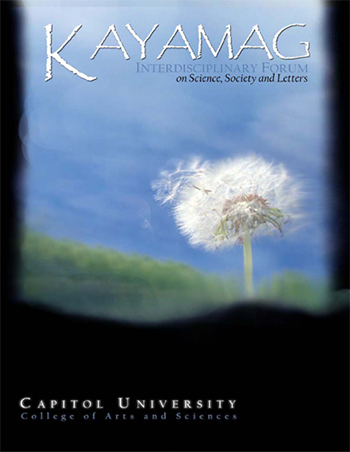 Kayamag includes features, ethnographs, and research narratives on social sciences, science, humanities, as well as poetry, literary essays, and book reviews. Kayamag is a completely faculty-run journal, edited and produced by the Capitol University's College of Arts and Sciences.